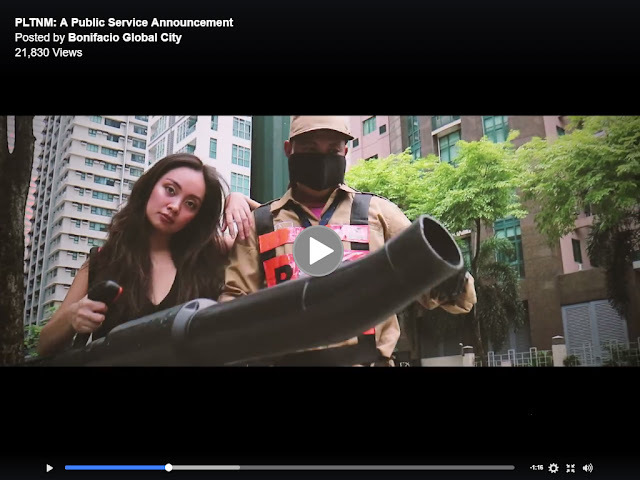 Fort Bonifacio Development Corp. (FBDC), the master planners of Bonifacio Global City (BGC), just released a public service announcement on Anti-Littering in BGC. It aims to serve as a reminder to BGCitizens and visitors alike to help keep the city clean by properly throwing garbage like cigarette butts, soda cans, and dog poop. The video was created by CookaiTV Productions of YouTube vlogger and advertising producer Cookai Talusan. It stars Arri Veloso of Pwitty Girls of MNL, which features beauty reviews from the pretty and witty. FBDC is keen on encouraging everyone to maintain the health and beauty of its community.